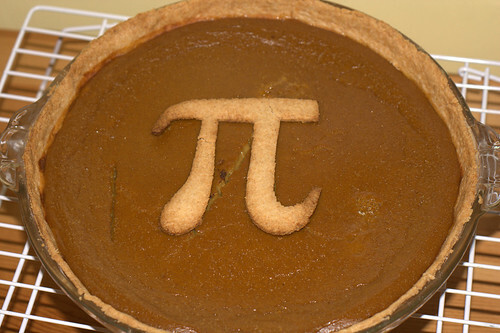 Today is March 14th, 2012 or in other words 3.14, which makes today Pi Day. Today I thought, what’s geekier than sharing Pi to the 314th digit in binary (feel free to challenge me in the comments). For your ubergeek pleasure, here it is. 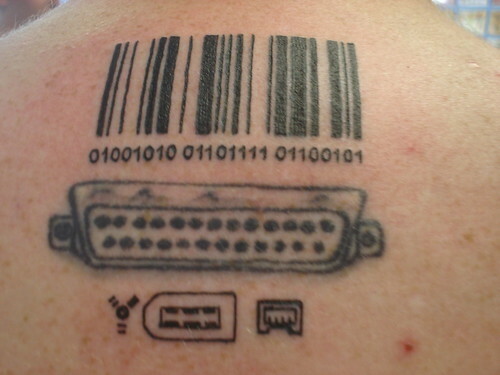 Back in July, I upgraded my single parallel port tattoo to add on Fire Wire ports and a bar code. Underneath the bar code was my name in binary code and for those who don’t know binary, I wanted the bar code to scan properly to display my name, just in case. Below is the picture I posted online of my new ink. In case you’re wondering what got me thinking (and talking) about my tattoos again, take a look at some of the recent blog posts that I noticed popping up that were talking about it. I love that it inspires people to write about it. There was another link in Spanish that I can’t find at the moment. With all this tattoo action buzzing, it also got me thinking about what’s next. I know I want more ports, but I also want to move forward with the beginnings of what will be a whole cyborg theme. The ports are just a start. What’s the best geeky tattoo you’ve seen? Any suggestions on what I should do next?